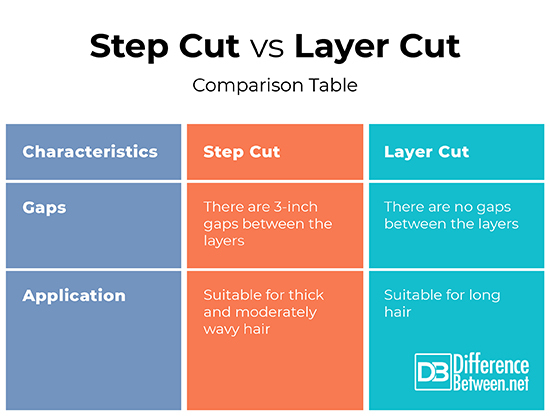 Among the less informed (in terms of the hairdressing), there is always a misconception that step hair cutting and layer hair cutting are the same. Some will argue that those are just two different names referring to the same hair cutting style. The truth is, the two are clearly dissimilar. The main differences between the two are derived from the techniques used to do each as well as their origins. However, digging deeper might help distinguish them in a better way. What is Step Hair Cutting? The terms “step cutting” are used to refer to a graduated haircut whereby the hair takes the form of cascading steps. In this style, a sharp demarcation is drawn between the steps, and it leads to having a “number of steps”. This haircut is mostly fitting for moderately wavy and thick hair. Layer cutting is a hair cutting style that leaves the illusion of length and volume when used on long hair. Here, the hair is arranged into layers whereby the top layers are cut shorter than the ones beneath. 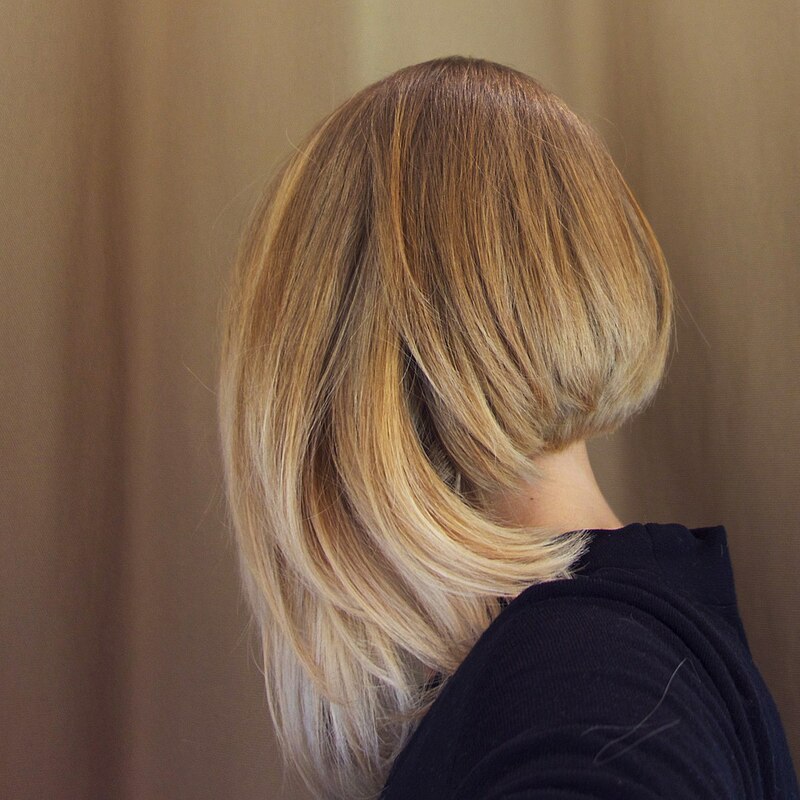 The cutting style allows the top layers’ tips to blend seamlessly with the layers beneath. It is an easy style to manage. Sliding haircut: – in this technique, the hair gets sectioned into four parts. The sectioning starts with the back section and then its cut radially at a 20-degree angle. Using the transition over the ear as a guideline for the front sections, the resultant feature is a soft layered end. This technique is suitable for medium wavy textures of hair. Blended elevation: – with this technique, the top section is cut at 90 degrees. The side sections then are cut at 180 degrees to the length of the top section. The step haircut begins below the ear as the first step of cutting. The next step is done a bit below creating gaps between the layers. Layer cut, on the other hand, there is no gap created between the layers. The layers are blended in a way that the proper layers are not shown. The step haircut gives a bounce to the hair and gives it a fashionista look while the layered haircut does not give your hair a bounce. However, the layer cut adds volume to your hair. The step haircut is suitable for moderately wavy as well as thick hair while the layered haircut style works best if used on long hair. It is never easy to tell the differences between hairstyles and haircuts not unless you are a professional at it. Apparently, the step cut and layer cut haircut styles are almost similar. This explains why most people confuse the two and interchange the terms. Sarah Brown. "Difference Between Step Cut and Layer Cut." DifferenceBetween.net. January 17, 2019 < http://www.differencebetween.net/miscellaneous/fashion-beauty/difference-between-step-cut-and-layer-cut/ >. "Difference Between Step Hair Cutting And Layer Hair Cutting". Fashionindustrynetwork.Com, 2018, http://www.fashionindustrynetwork.com/profiles/blogs/difference-between-step-hair-cutting-and-layer-hair-cutting. Accessed 7 Dec 2018.